Nice 3 bedroom 2 bath single story with 12" ceramic tile throughout. Mirrored closet doors, ceiling fans, Kitchen with breakfast bar, fireplace in the family room. 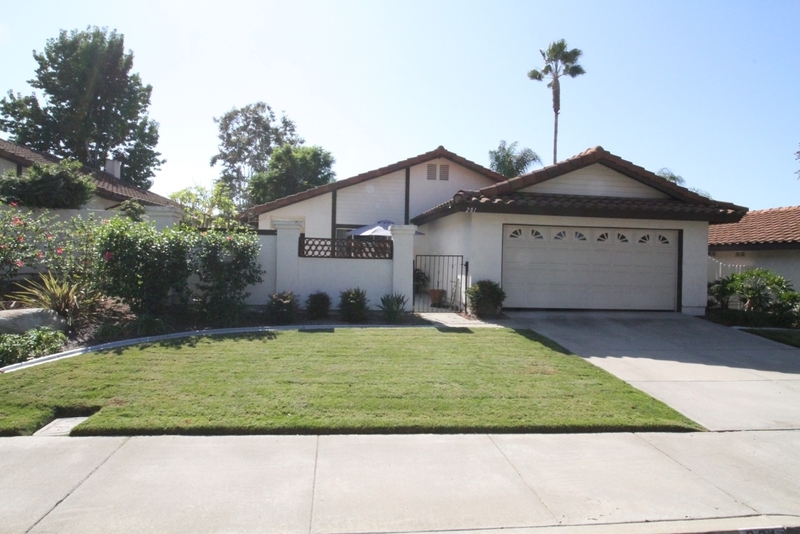 Gated, private fenced yard w/large covered patio, grassy area & attached 2 car garage. Convenient walking distance to restaurants, movie theatre, shopping, parks, & easy highway access bike paths to the beach! Low HOA of $155 mo. maintains the front yard, beautiful grounds with walking paths, large green belts and community pool and spa.